Medford general dentist, Anthony Giamberardino DMD, takes a 3-pronged approach to outstanding smiles. Prevention, restoration and cosmetic smile makeovers provide patients of Medford general dentist Anthony Giamberardino with healthy, attractive and lasting smiles. 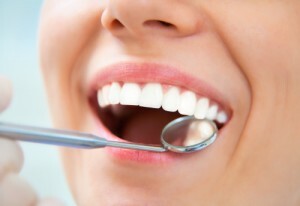 Dental services include everything from check-ups to fillings to clear braces and implants. No 2 people are alike, nor are 2 smiles the same. Regarding every aspect of dental health, patients need personalized and informed care. Medford general dentist Anthony Giamberardino DMD tailors a smart, 3-pronged care plan to help patients achieve outstanding smiles. Prevention, restoration and cosmetics all play their parts. Whether a young individual needs a routine check-up and cleaning or a middle adult wants to whiten her teeth to gain an advantage in the workplace, Dr. Giamberardino is the 01890 general dentist with the experienced technical and people skills to optimize teeth and gum health. Prevention is key to a lasting smile. The professional staff at Giamberardino Dental Care know that routine examinations and cleanings prevent cavities and gum disease and keep small issues from doing a lot of damage. In addition, a thorough check of the oral cavity gives the doctor a picture of the patient’s overall health, often revealing entrees for chronic conditions such as diabetes, vitamin and nutritional issues and heart disease. Comments Off on Medford general dentist, Anthony Giamberardino DMD, takes a 3-pronged approach to outstanding smiles.